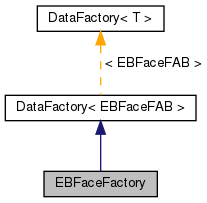 Factory class to produce BaseEBFaceFABs. Factory class to produce BaseEBFaceFABs. This is needed for LevelData construction.